Our company is only as strong as our employees and at PNG Jewellers, we prioritize building and nurturing a culture of excellence across our operations. From the sales professionals who begin their careers and retire with us to our newest designers, we are proud of our employees and know that they share our collective values of respect, inclusiveness, excellence and responsibility. We honor the dignity of all people and respect the laws, customs and values of the communities in which we operate. We recognize each employee's knowledge and skills as an important source of organizational capability and competitive advantage, ensuring there are broad training and development opportunities at all levels. We welcome diversity in all its forms and emphasize personal accountability and professionalism in a respectful, inclusive and fair work environment. PNG Jewellers has a long legacy of operating as a responsible corporate citizen. Under the leadership of PNG Jewellers's CEO, Saurabh Gadgil & Director Parag Gadgil, sustainable practices are incorporated into the culture of our organization. With the appointment of a Chief Sustainability Officer, Ashutosh Joshi, and the establishment of a Corporate Social Responsibility Committee of the Board of Directors, our leadership has sent a clear message about the importance of corporate responsibility. Our enhanced management structure and internal processes enable continued improvement and leadership on key social and environmental issues and alignment with long-term business objectives. Our Directors, officers and employees are committed to the ethical principles embodied by our Company practices and standards. PNG updates on news and events. Since 1832, PNG has embodied a tradition of purity and excellence in the jewellery industry. The tradition of purity has over the years turned to commitment to the people. The commitment is of purity and trust that is not only restrained to the quality of products and service but in conducting activities of social benefit and protecting the environment. 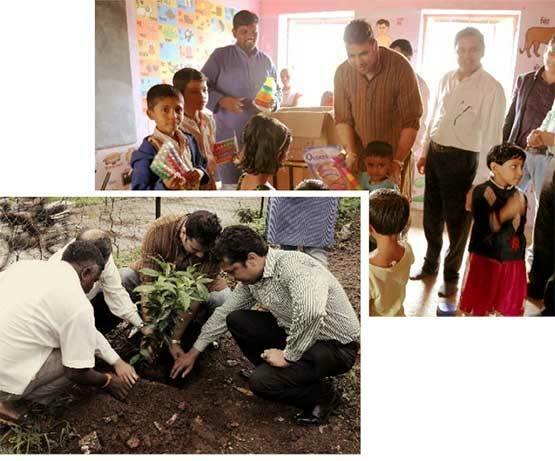 To enhance value creation in the society through the Company's CSR initiatives and projects. To develop sustainable projects through responsible business practices and good governance. To design a process for and ensure an increased commitment at all levels in the organization towards social responsibility. To involve its stakeholders and create a support in the process of social transformation. Patwardhans in Sangli shared a common lineage with the Patwardhans ruling in Miraj, Jamkhandi and Kunrundvav and this often resulted into conflicts and riots. The situation continued until the Treaty of Pandharpur with the British in 1817 and it is with this treaty that all the domains of the Patwardhans were separated. Sangli began to develop rapidly under the rule of Patwardhan king Vinayakrao Chintamanrao. He promoted the growth of industries and agriculture in the region and set up the first bank in Sangli to help the poor farmers and also the industrialists to raise fund when required. He also set up the colleges and institutions for the development of education in Sangli. 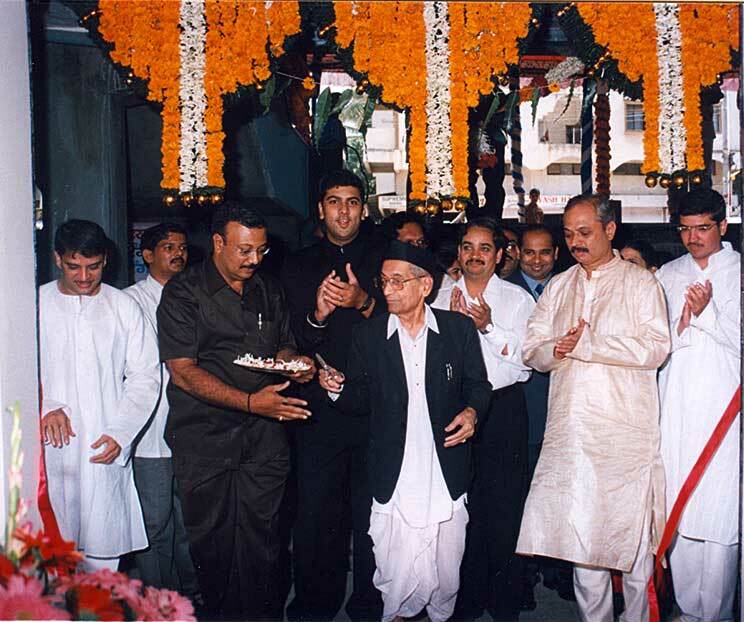 Narayan Gadgil worked in the forefront for setting up of the Sangli Bank and performed the first inauguration ritual of the Sangli bank. The foundation of the bank not only benefitted the poor farmers who had to solely depend upon the money lenders but also for individuals. Individuals could start their own firm with the capital raised from the bank. Also this helped the poor villagers to save their money and use them in time. However the situation changed after the partition in India due to the huge drain of wealth in the country. The GDP rate in the entire country dropped from 20 % to 5 % after partition. The Sangli bank was in the condition of going bankrupt due to the drain of funds caused by the economic crisis in the country. This meant that the poor farmers, industrialists and the villagers will be in a great problem due to their dependency on the bank. The Government was also not in the condition to save the bank from going bankrupt. Purushottyam Narayan Gadgil realized the after effect of the bankruptcy and he gave his hundis which was a form of credit instrument that can be used by the bank in trade transaction. His hundis proved valuable and were valid all over the country. 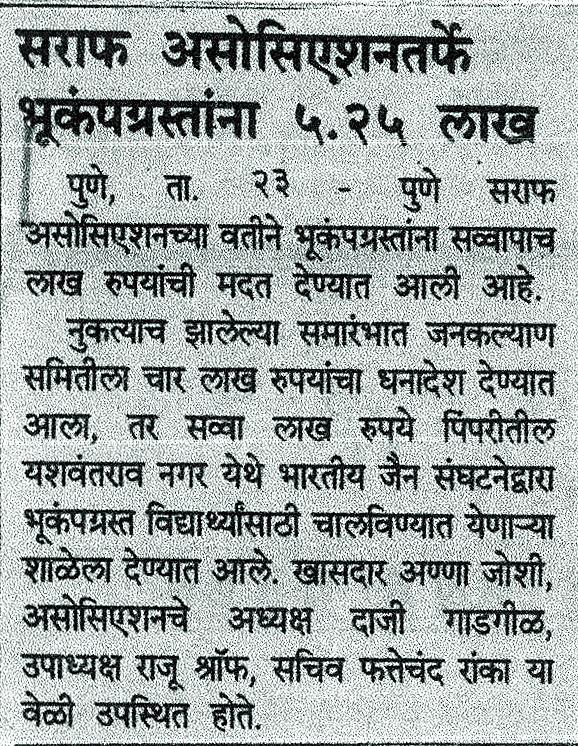 His generous and noble act saved the the Sangli bank from going bankrupt and also the villagers. During the pre independence period the country was going through an economic collapse caused by the British economic policy in thte fields of taxation and agriculture. There were more commercialization related agriculture and so there were less production of food crops and more production of cash crops that benefitted the British people. There were no development in the villages, the farms were drought prone, there were neither any local market, nor any post office or any proper mode of communication in the villages. Sangli was under the rule of the Patwardhan clan who tried to improve the condition of the villagers and promoted the growth of education, industries and finance in the villages.Aba took his step forward in developing the condition of the villagers. He himself took the task of development in the village of Salagre which was a very backward village in terms of agriculture and industry. Salagre was a drought prone area and to develop the condition Aba himself began a farm in that area. He toiled hard with the farmers and begun a flourishing farm in the area. The agricultural farm produced food crops with water supplied through irrigation and there were fresh green vegetables, beans, tomatoes, potatoes and turmeric. Then he got the land broken up into plots so that there can be more yield of crops. With gradual production of crops he also got a market set up where people can buy and sell vegetables. 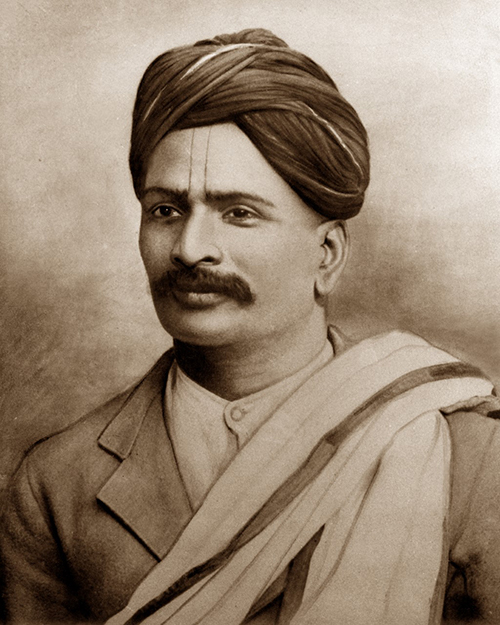 To develop the economic condition of the people and also the industrialists and the businessmen he started the practice of selling gold and silver ornaments. Later he made it a ritual to sell gold and silver in every Monday that attracted wealth for the traders and the villagers. He also got a post office set up in the village for the social security and the welfare of the villagers. "SWA-Skills with Answer" this training program Facilitate overall development of the adolescents with the help of life skills Std for students of 7th to 10t h std from Dajikaka Gadgil Second Home English Medium school training was conducted in the month of September and December in coordination with "Community Scope". Increase adolescents' knowledge of reproductive health and sexuality. Reinforce and promote attitudes and behaviors that will lead to a better quality of life for adolescents. Instill skills among adolescents to enable them to overcome the challenges of growing up and become responsible adults including communication skills, decision-making, assertiveness, setting goals, and resisting peer pressure. 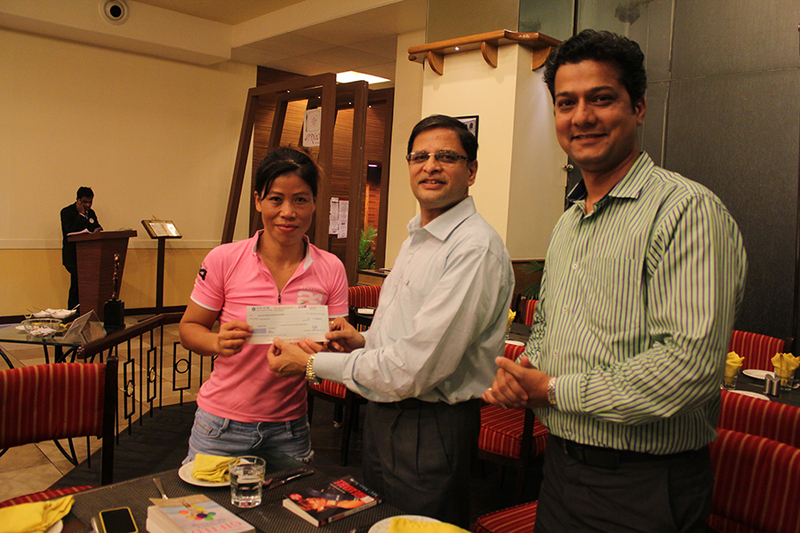 Support to Sports person from Mary Kom regional boxing foundation..
Mary KOM regional Boxing Foundation aims at boxing skills development for the under privilege children from the North East. So as a company we decided to support one female athlete (boxer) from the foundation where we have given financially support for the one year training program. 9th May 2016 on the occasion of Birthday of Mr. Saurabh Gadgil (Chairman and Managing Director) P N Gadgil Jewellers under Corporate Social Responsibility we have supported 9 under privileged children from a Pune based organization named Eklavya Bal Shikshan & Arogya nyasa for their yearly Educational expenditure. Mr.Saurabh Gadgil, Mr.Parag Gadgil, Ms.Vaishali Gadgil,Ms.Radhika Gadgil were present for the function and from company's side Mr.Amol Tawildar, Mr.Nilesh Kolapkar, Ms.Neha Yadav, Ms.Neeta Pardeshi & Mr.Samrat Sarkar were present. Introduction of the project was given by Mr. Ashutosh Joshi & Mr.Harendra Godambe (Manager-CSR) did anchoring of the program. In today's scenario the performing art is given importance by the society of class but the underprivileged group is never been get chance to built their performance by way theatrical workshop. The second foremost thing is that the art make the school education easy and it all also take the children close to cultural heritage. At the primary stage, the orientation should be towards theatre as a medium of self-expression. Theatre in education should be aimed at promoting self-expression, creativity, sense of freedom and thus psychological health. To enhance the imagination and support self-discovery. Help children learn through movement, dance together and by exposure to natural environment to participate in the joy of sensing colors, forms, and rhythms. Make children conscious of the good and the beautiful in their environment including their classroom, school, home, and community, through an integrated learning approach that they enjoy. Make children express freely their ideas and emotions about different aspects of life. Develop all the senses of the child through observation, exploration, and expression. To impart understanding of a human relations and their conflicts. To use drama as a technique in establishing peace and harmony in school. Enable students to use their artistic and aesthetic sensibilities in day-to-day life. Develop creative expression through locally available material with the help of community. In the school to build the confidence by of performing art and conducting theatrical workshop to perform in day to day situation is the need. Training program is design and organized from 8th December 2015 for students from 7th std to 9th of Dajikaka Gadgil second home school, Taljai. On 19th January 2016, we inaugurated Shilim Development Project In collaboration with Adiwasi Vikas Prabodhini under Our CSR Initiatives. On the occasion we started project with inauguration of E-Learning Set up in 4 Zila parishad schools namely Shilim Gavthan Primary School, Shindewadi Z P school, Wagheshwar Z P school & Dyaneshwar Vidya Niketan ,Ajiwali. This E- learning will help students to use modern technology of studies. E-learning Set up was inaugurated with the hands of our Executive Direction Mr.Parag Gadgil and Director Ms.Vaishali Gadgil. For the Function Mr.Mahesh Thakur, Prof.B Deshmukh from Adiwasi Vikas Prabodhini, Dr.Smita Patil-BDO, Ms.Tarabai Kadu - Sarpanch Group Grampanchyat Shlim were present. During the speech of Ms.Vaishali Gadgil gave emphasis on "Village development is only possible when their will be efforts from the entire sector i.e. village, Govt and corporate." In continuation with, in the month of February and March 2016 we did lot of development program at shilim Village i.e. Teachers Training Program on E-learning, Beautification work in Schools, Toilet Blocks in school. Mr. Parag Gadgil, Executive Director, PNG Jewellers, along with other dignitaries,inaugurated Science Laboratory in theSecondary School of the Ajivali village in Mawal Taluka of Pune District on January 6, 2017. PNG Jewellers has also constructed toilets for the primary school in Shillim village of Mawaltaluka. 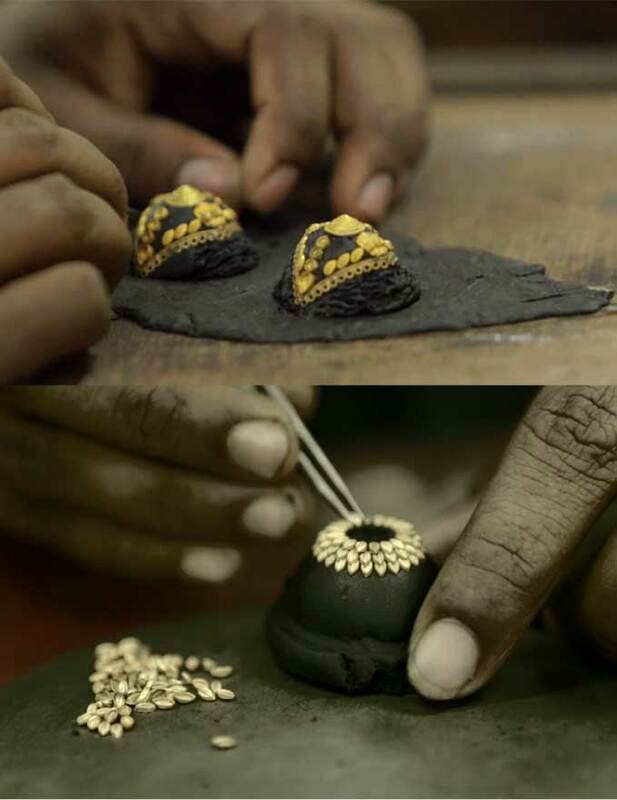 The corporate social responsibility initiative by PNG Jewellers Pvt Ltd was started last year in Shillim village when they adopted the entire village. Considering the necessities of the villagers, a health center was founded and a Bandhara was also built. These initiatives are to contribute in the development of the village. Mr. Parag Gadgil, Mrs.Vaishali Gadgil, Mr. Ashutosh Joshi and Mr. Harendra Godambe of Corporate Social Responsibility department, along with Mr. Mahesh Thakur, Adivasi Vikas Prabhodhini, Sarpanch Tarabai Kadu and other members of the Gram Panchayat were present for the occasion.Furthermore, PNG Jewellers distributed Sports Kit amongst the school students as well as the youth club of the village. Speaking on the occasion, Mr. Saurabh Gadgil, CMD, PNG Jewellers Pvt. Ltd said, "We are really delightful to announce the opening of science labs and health centres in Shillim Village. Last year, we had inaugurated an E-Learning center for the Zilla Parishad High School, Shillim.All these developments will help in an overall progress of the village and its residents. We are working hard to develop required amenities of the entire village." Mr. Parag Gadgil added,"This health center will be beneficial for all the villagers. We have taken this initiative, keeping in mind the essential comforts in pertinence to health conditions of the villagers." Mrs. Vaishali Gadgil also added that, "We aim to develop the Shillim Village. We would like to implement more and more social programs and activities for the village. But, it isImperative to have the support of the villagers, only then the village will progress."